Brenntag Polska offers the widest range of chemical products, professional technological and processing suport. Use our experts knowledge and experience along with the state-of-the art laboraties to stay ahead of your competition. Brenntag Polska is a team of highly qualified and dedicated specialists. Join us! Customer Here you can find information about our company and its offer and every thing else you might be interested in as our Customer. Press Here you can find all relevant information for the press representatns. Click and see for yourself. Career Don't waste any time, join our team of highly trained specialists and start your great career in Brenntag world. As leading chemical company we understand the needs of our customers and suppliers. Our knowlegde about products, applications, markets and current trends allows us to develop the best, tailor made and sustainable solutions. With us you can have easy access to the global market network of Brenntag Group, and expand your business without problems. Take a chance and use rich experience and technical knowledge of our technicians and state-of-the-art laboratories and reserch centers. Let us help you with an improvement of your production processess or formulations, share with us the difficulties you are facing and let us find the perfect solution in order to stay ahead of your competition. Optimize your working performance by outsourcing the most time consuming tasks to us. Allow us to ease your every day challanges and help you to focus on more strategic aspects. If you are looking for a particular product, it's safety datasheet or technical specification try the search engine below and find it in just a few seconds! If you are interested in current events and news from Brenntag Polska feel free to visit our online blog, that will keep you always up to date with the latest news regarding all the major events, fairs, and articles. We feel responsible for our products and packaging as much as for the safety of our employees, neighbours and environment. Brenntag Polska reliability is confirmed by the "Reliabble Company" certificate and ZUS and Tax Office statements - we are the best partner for you! 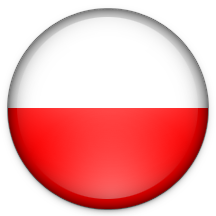 Brenntag Polska is a company operating on polish market since 2002, continously improving it's standards, product portfolio and logistic network. Start your carrer with Brenntag Polska - click on the link below and see if we have a job opportunity for you!